The TomTom Spark Cardio + Music is a GPS watch targeted at runners. We've reviewed the Fitbit Surge and found its GPS tracking a bit inaccurate. That doesn't make a big difference over small distances, but if you are a serious long-distance runner then you definitely want a watch with better GPS. The TomTom Spark is billed as a tool for runners, and so it needs to be a lot more accurate. Since we're training for a half marathon, we started wearing the TomTom Spark during runs to see if it works as it should. 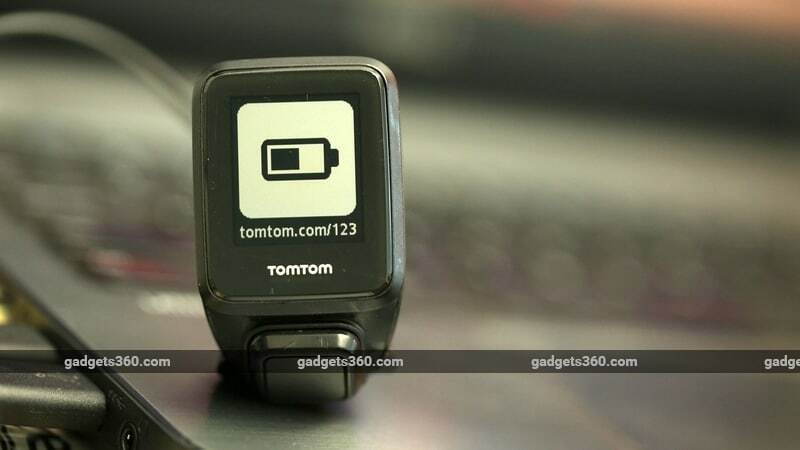 One look at the TomTom Spark and you'll know that it won't go well with formal wear. While it is very comfortable to wear, it's best worn only during workouts or with casual attire. It has a large, protruding D-pad below the display. The watch doesn't have a touchscreen so the entire interface is designed around the four keys of the D-pad that are like arrow keys on a computer keyboard. This looks rather clunky, but it works. For a runners' watch, not having a touchscreen is actually a positive because sweaty fingers often make it hard to use touchscreens and leave a lot of unwanted prints as well. Using buttons is a good choice as it reduces chances of accidentally starting or ending a run, a problem we faced with the Fitbit Blaze. The software design could be improved, as we often weren't sure if there were more options than what appeared on screen. We often had to scroll to the end to be sure that there are no more entries. If you're at the watch face, there's nothing hinting at what happens when you press any of the buttons. All of these things make it very clunky for beginners, and unless you're serious about sports you probably shouldn't even consider this watch. The only reason for anyone to bear with the TomTom Spark's user interface is that it's great at tracking runs. We determined this with an 8km run through Mumbai's Marine Drive, where there's a long track with markers every 100 metres. The TomTom Spark measured our run to be 8km long, exactly what the mile markers said. When training for half-marathons with a smartphone that doesn't always give 100 percent accurate GPS readings, we often ran at least 200 metres more than the training plan required to compensate for any inaccuracies. Once we began using the TomTom Spark, we stopped doing that as we found its GPS to be very accurate. The TomTom Spark can load GPS coordinates quickly in locations you visit frequently. In most cases, it managed to lock on to our location pretty fast, but there were times when it took a bit too long to connect. On one occasion, the TomTom Spark was still trying to lock on to our location after we had finished a 20-minute run. The device also lets you set a pace zone and alerts you if you're going too fast or too slow. Going too fast when your plan tells you to go slow can have a negative impact on training and we have had a lot of trouble keeping a steady pace while running. This feature helped us on our long runs. The problem is you can't check your current pace while in this mode. You need to fiddle with the D-pad to go to another screen that displays these stats, a consistent problem across training modes. We also tried setting a distance goal, but the default distance goal screen doesn't show your current pace. As we mentioned before, the interface lacks cues about what is on the next screen. On some screens, such as when you're starting a run, you see icons that tell you that scrolling down and up show you the settings screen and run data respectively. However, once you start workouts, these cues disappear and the only positive is at least you can't accidentally end workouts, as that requires a long press. Overall, the interface could use a lot of improvement. We also used the watch to measure calorie burn during workouts. Since the TomTom Spark has 24x7 heart-rate monitoring, it gives a fairly accurate read of calories burned. Not everyone trains to the point that they need to strictly monitor calorie intake and burn, which shows that this device is targeted at more serious runners and athletes. We also tried the Spark during a treadmill run. We ran 3.5km in about 20 minutes and the device, which has a treadmill mode, thought we had only run 1.7km. Thankfully at the end of every treadmill run you can manually adjust the distance. 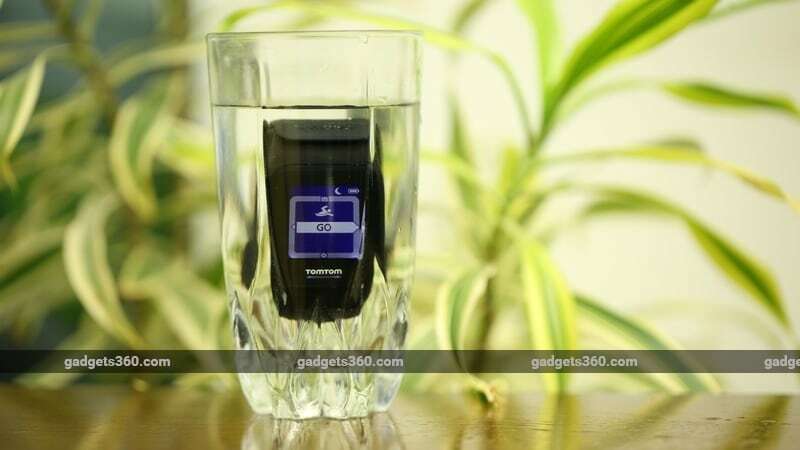 The TomTom Spark is also water resistant and you can use it to track your swims. We didn't swim during the review period, but we did dunk the watch in a bucket of water to verify that it would still work. The Spark also lets you store music and pair Bluetooth headphones so you don't need to carry any other device with you during runs. This is a great feature. You can just connect the watch to your computer via the charging cable and transfer MP3 files easily but it won't be of much use if you only use a streaming service such as Apple Music. TomTom says the Spark is compatible with only a few Bluetooth headphones, but we tested it with a Brainwavz Blu-200, which is not on that list and it worked just fine. While the Spark is a product that gets a lot done, we did find ourselves wishing for some improvements. For one, we'd like to be able to customise the watch face. While the display is very readable, it only shows three things at a time. For example if it shows the current pace in a large size, while two more things - the duration of the run and the distance covered - are shown below it in a smaller size. We wanted to see both current pace and our average pace during the run but we couldn't find a way to do that. In general the TomTom Spark lacks customisability. 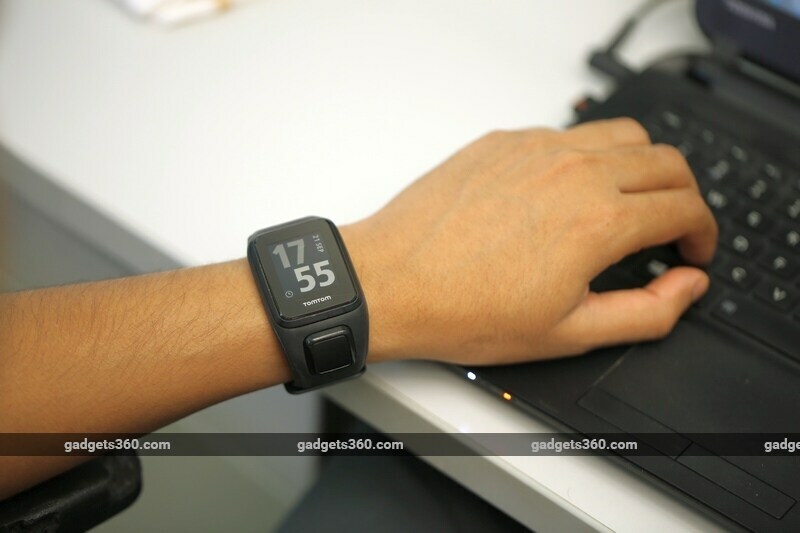 While competing watches from the Garmin Forerunner series let you see what you want and have some apps too, the TomTom Spark lacks these features. It lets you set only one alarm and we need multiple alarms to wake up early, and the TomTom Spark wasn't of much use. The TomTom MySports app is decent but once again, it's not very user friendly. If you're used to apps such as Fitbit or Nike+ Run Club, you'll find this app clunky and barebones. However, it does give you lots of data about your workouts, such as heart rate charts and pace zones, and even allows you to export this data to apps such as Strava and Nike+ Run Club. Overall, we are pretty pleased with the TomTom Spark Cardio + Music. We love its accuracy and feature set, and the ability to play music directly off the watch is a major bonus that many runners will appreciate. Its lack of customisability, clunky interface, and barebones app are cons, but we're willing to deal with them. The battery lasted us four days with one workout per day. This went down to two days when using the night mode, in which the display lights up. TomTom sent us a unit that had been used heavily, so your battery life results may vary. If customisability is an absolute must, you could look at the more expensive Garmin Forerunner 235, but that watch can't store and play music. We can recommend the TomTom Spark for runners, but be sure to check which specific model you're buying. TomTom has too many variants available via Amazon. The less expensive ones either don't let you play music or don't check your heart rate. 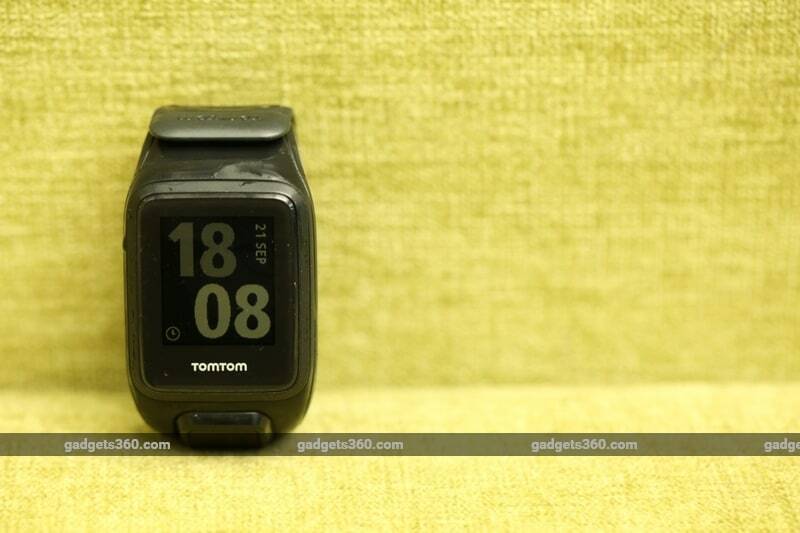 The TomTom Spark Cardio + Music costs Rs. 21,999 and is a good purchase at that price. product TomTom Spark Cardio + Music is a sports watch that can play music. Is it a must-have for runners?